The Ludwig Order (German:"Ludwigsorden"), was an order of the Grand Duchy of Hesse which was awarded to meritorious soldiers and civilians from 1807 to 1918. The order was founded by Louis I, Grand Duke of Hesse and by Rhine as an order of merit without name or statute on August 25, 1807. On December 14, 1831 statutes were adopted for the order, giving it its formal name, dividing it into five classes, and setting the terms for award. 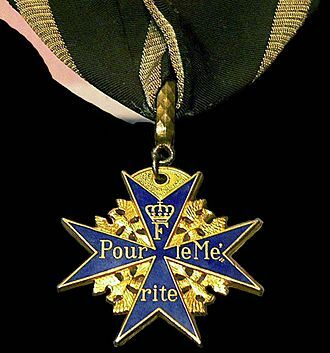 It was to be awarded to meritorious soldiers and civilians "von den obersten Stufe bis auf die unterste" (from the highest level to the lowest). The order became obsolete with the abdication of the last Grand Duke of Hesse in November 1918. William I, German Emperor (1838) - German Emperor (1871-1888) and King of Prussia (1861-1888). Alexander II of Russia (1839) - Tsar of Russia (1855-1881). Alexander Mikhailovich Gorchakov (1857) - Russian minister of foreign affairs and later chancellor of Russia (1863-1882). William III of the Netherlands (1858) - King of the Netherlands and Grand Duke of Luxembourg (1849–1890). 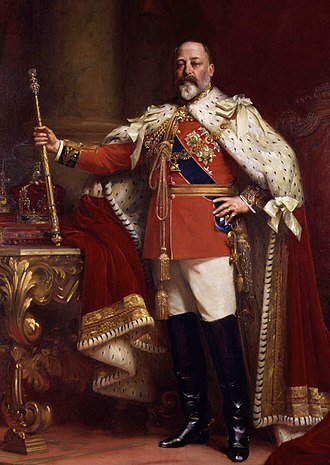 Albert Edward, Prince of Wales and Duke of Saxe-Coburg-Gotha (1862) - later King Edward VII of the United Kingdom. 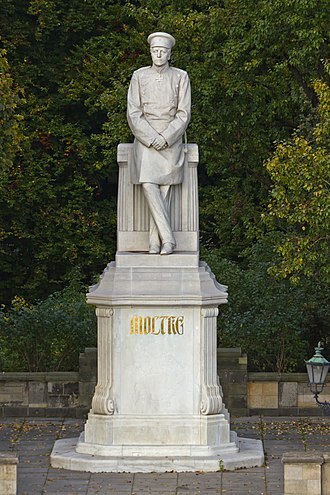 Helmuth von Moltke the Elder (1871) - German field marshal and strategist; Chief of the Prussian General Staff during the wars of German unification. Karl Eberhard Herwarth von Bittenfeld (1871) - German field marshal during the wars of German unification. Benedict Samuel Levi (1872) - Rabbi at Giessen and Professor at the University of Würzburg. Karl Schlösser (1874) - German artist living in London. 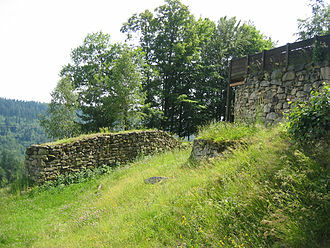 Wikimedia Commons has media related to Ludwigsorden. Carol I, born Prince Karl of Hohenzollern-Sigmaringen, was the ruler of Romania from 1866 to 1914. He was elected Ruling Prince of the Romanian United Principalities on 20 April 1866 after the overthrow of Alexandru Ioan Cuza by a palace coup détat, in May 1877, he proclaimed Romania an independent and sovereign nation. The defeat of the Ottoman Empire in the Russo-Turkish War secured Romanian independence and he was proclaimed King of Romania on 26 March 1881. He was the first ruler of the Hohenzollern-Sigmaringen dynasty, which ruled the country until the proclamation of a republic in 1947, during his reign, Carol I personally led Romanian troops during the Russo-Turkish War and assumed command of the Russo/Romanian army during the siege of Plevna. 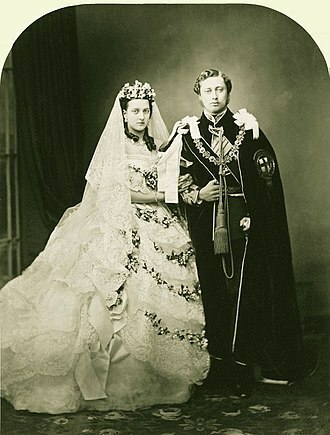 The country achieved internationally recognized independence via the Treaty of Berlin,1878 and he married Princess Elisabeth of Wied in Neuwied on 15 November 1869. 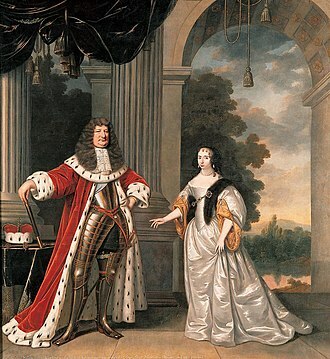 They only had one daughter, who died at the age of three, Carol never produced a male heir, leaving his elder brother Leopold next in line to the throne. 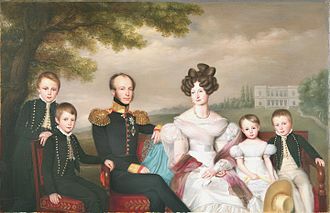 In October 1880 Leopold renounced his right of succession in favour of his son William, who in turn surrendered his claim six years in favour of his younger brother, after finishing his elementary studies, Karl entered the Cadet School in Münster. 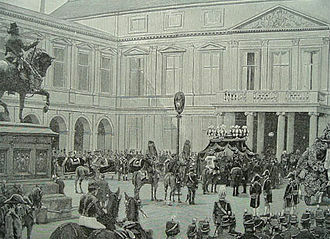 In 1857 he was attending the courses of the Artillery School in Berlin, up to 1866, when he accepted the crown of Romania, he was a Prussian officer. He took part in the Second Schleswig War, including the assault of the Fredericia citadel and Dybbøl, an experience which would be very useful to him in the Russo-Turkish war. Although he was frail and not very tall, prince Karl was reported to be the perfect soldier and disciplined. He was familiar with several European languages and his family was closely related to the Bonaparte family, they enjoyed very good relations with Napoleon III of France. 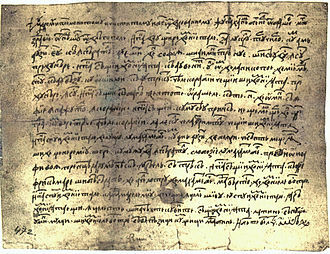 The former Domnitor of united Romania, Alexandru Ioan Cuza, had expelled from the country by the leading noblemen. 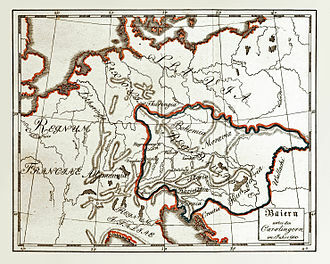 Cuzas double election, both in Wallachia and in Moldavia) had been the basis on which the Romanian Principalities unification was recognized by the European powers, with him gone, the country was in danger of disintegration. 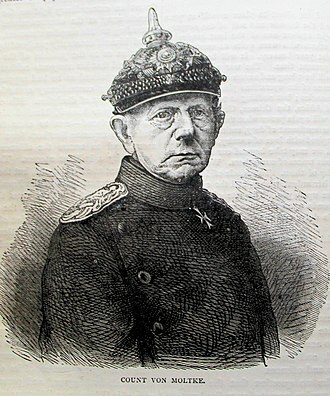 Karl Eberhard Herwarth von Bittenfeld was a Prussian field marshal. 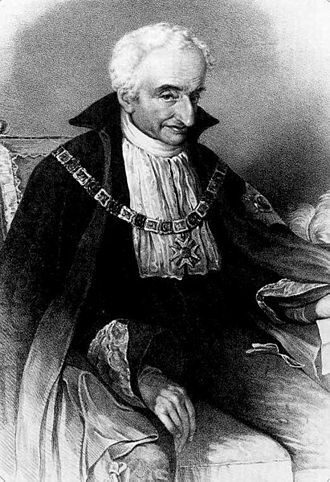 Herwarth von Bittenfeld was born in Werther, into a family which had supplied many distinguished officers to the Prussian army. Herwarth von Bittenfeld entered the infantry with the 2nd Guards Regiment in 1811, during the years of peace he rose slowly to high command. In the Berlin revolution of 1848, he was on duty at the palace as colonel of the 1st Guards. 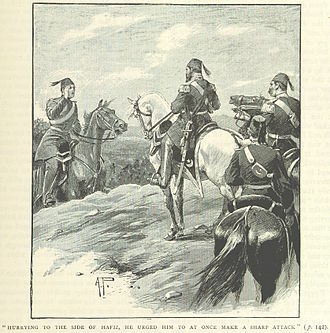 Major-general in 1852, and lieutenant-general in 1856, he received the grade of general of infantry, Bittenfeld was appointed commander of the VIII Corps that autumn. On 29 June he received the Pour le Mérite order, in the Austro-Prussian War, Herwarth commanded the Army of the Elbe which overran Saxony and invaded Bohemia by the valley of the Elbe. His troops won the actions of Hühnerwasser and Münchengrätz, and at Königgrätz formed the wing of the Prussian army. 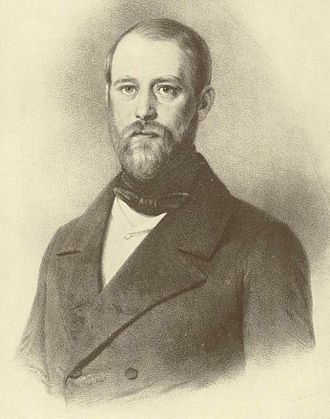 Herwarth himself directed the battle against the Austrian left flank, returning to command of the VIII Corps after the war, Herwarth von Bittenfeld became a member of the Reichstag of the North German Confederation from 1867 until 1870. Alexander Mikhailovich Gorchakov, was a Russian statesman from the Gorchakov princely family. He has a reputation as one of the most influential. Gorchakov was born at Haapsalu, Governorate of Estonia, and was educated at the Tsarskoye Selo Lyceum and he became a good classical scholar, and learned to speak and write in French with facility and elegance. 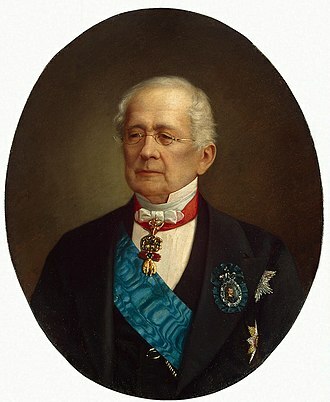 Pushkin in one of his poems described young Gorchakov as Fortunes favoured son, on leaving the lyceum Gorchakov entered the foreign office under Count Nesselrode. His first diplomatic work of importance was the negotiation of a marriage between the grand duchess Olga and the crown prince Charles of Wurttemberg and he remained at Stuttgart for some years as Russian minister and confidential adviser of the crown princess. He foretold the outbreak of the spirit in Germany and Austria. When the German Confederation was re-established in 1850 in place of the parliament of Frankfurt and it was here that he first met Prince Bismarck, with whom he formed a friendship which was afterwards renewed at St Petersburg. 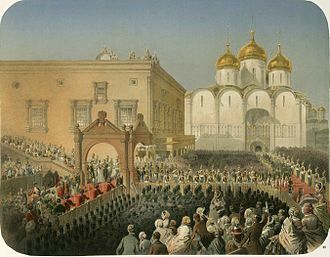 The emperor Nicholas found that his ambassador at Vienna, Baron Meyendorff, was not an instrument for carrying out his schemes in the East. He therefore transferred Gorchakov to Vienna, where the remained through the critical period of the Crimean War. At the same time, although he attended the Paris conference of 1856, he abstained from affixing his signature to the treaty of peace after that of Count Orlov. The Prussian support was assured by the Alvensleben Convention, in July 1863 Gorchakov was appointed Chancellor of the Russian Empire expressly in reward for his bold diplomatic attitude towards an indignant Europe. 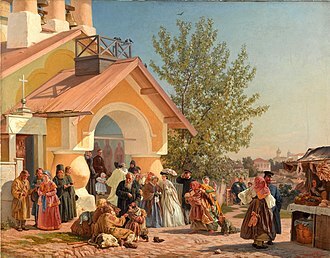 The appointment was hailed with enthusiasm in Russia, a rapprochement now began between the courts of Russia and Prussia, and in 1863 Gorchakov smoothed the way for the occupation of Holstein by the Federal troops. This seemed equally favourable to Austria and Prussia, but it was the power which gained all the substantial advantages. 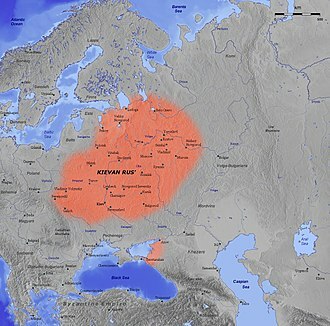 When conflict arose between Austria and Prussia in 1866, Russia remained neutral and permitted Prussia to reap the benefits arising from the conflict, in 1867 Russia and the US concluded the sale of Alaska, a process which began as early as 1854 during the Crimean War. Otto Eduard Leopold, Prince of Bismarck, Duke of Lauenburg, known as Otto von Bismarck, was a conservative Prussian statesman who dominated German and European affairs from the 1860s until 1890. In the 1860s, he engineered a series of wars that unified the German states and deliberately excluding Austria, into a powerful German Empire under Prussian leadership. With that accomplished by 1871, he skillfully used balance of power diplomacy to maintain Germanys position in a Europe which, despite many disputes and war scares, in 1862, King Wilhelm I appointed Bismarck as Minister President of Prussia, a position he would hold until 1890. He provoked three short, decisive wars against Denmark and France, aligning the smaller German states behind Prussia in its defeat of France, in 1871, he formed the German Empire with himself as Chancellor, while retaining control of Prussia. His diplomacy of realpolitik and powerful rule at home gained him the nickname the Iron Chancellor, German unification and its rapid economic growth was the foundation to his foreign policy. He disliked colonialism but reluctantly built an empire when it was demanded by both elite and mass opinion. A master of politics at home, Bismarck created the first welfare state in the modern world. 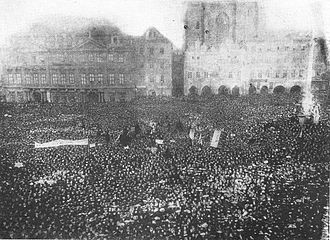 In the 1870s, he allied himself with the Liberals and fought the Catholic Church in what was called the Kulturkampf and he lost that battle as the Catholics responded by forming a powerful Centre party and using universal male suffrage to gain a bloc of seats. Bismarck reversed himself, ended the Kulturkampf, broke with the Liberals, imposed protective tariffs, a devout Lutheran, he was loyal to his king, who argued with Bismarck but in the end supported him against the advice of his wife and his heir. Under Wilhelm I, Bismarck largely controlled domestic and foreign affairs, until he was removed by the young Kaiser Wilhelm II in 1890, bismarck—a Junker himself—was strong-willed and sometimes judged overbearing, but he could be polite and witty. Occasionally he displayed a violent temper, and he kept his power by threatening resignation time and again. He possessed not only a national and international vision but the short-term ability to juggle complex developments. As the leader of what historians call revolutionary conservatism, Bismarck became a hero to German nationalists, many historians praise him as a visionary who was instrumental in uniting Germany and, once that had been accomplished, kept the peace in Europe through adroit diplomacy. Bismarck was born in Schönhausen, a family estate situated west of Berlin in the Prussian province of Saxony. 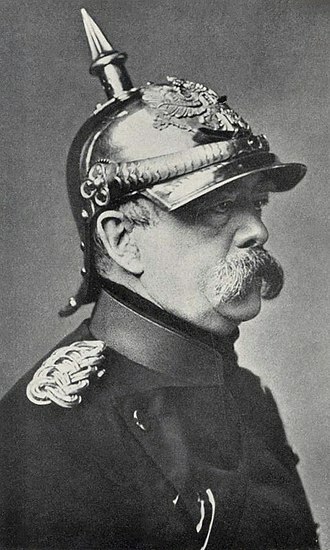 He had two siblings and Malwine, the world saw Bismarck as a typical Prussian Junker, an image that he encouraged by wearing military uniforms. Bismarck was well educated and cosmopolitan with a gift for conversation, in addition to his native German, he was fluent in English, Italian and Russian. 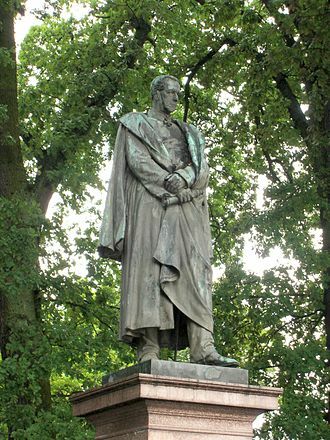 Bismarck was educated at Johann Ernst Plamanns elementary school, and the Friedrich-Wilhelm, from 1832 to 1833, he studied law at the University of Göttingen, where he was a member of the Corps Hannovera, and enrolled at the University of Berlin. The Military Order of Max Joseph was the highest military order of the Kingdom of Bavaria. It was founded on 1 January 1806 by Maximilian I Joseph of Bavaria, the order came in three classes, Grand Cross Commanders Cross Knights Cross. Individuals who received the order and were not already members of the nobility were ennobled, a Bavarian title of nobility obtained through the Military Order of Max Joseph was valid for the recipients life only. 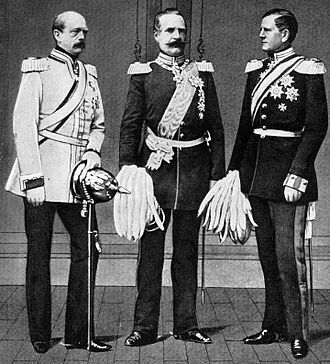 The order became obsolete in 1918 with the collapse of the Bavarian monarchy on Germanys defeat in World War I, the orders chancery continued to process outstanding award recommendations to at least 1922. The badge of the order was a white-enameled gold Maltese cross with balls at each cross point. The center medallion, in blue enamel and edged in gold, featured the monogram of Max Joseph on the obverse, above the cross was a gold crown. The badge of the Knights Cross was much smaller than that of other military orders. It measured 28-mm in width, compared to Bavarias Military Merit Order and it was worn from a ribbon on the officers medal bar ahead of other decorations or, separately worn through the buttonhole. In 1951, wear of the Knights Cross around the neck, the badge of a Commanders Cross was somewhat larger than the Knights Cross, measuring 38-mm by 55-mm. It was worn from a ribbon around the neck, the Grand Cross was still larger, and had golden rays between the arms of the cross. The star of the order, which came with the Grand Cross, was a silver eight-pointed star. The center of the featured a badge of the order. The ribbon of the order was black moiré with inner white, for recipients of the order who were not already members of the nobility, receipt of the order conferred a patent of nobility. This patent was not inheritable, similar to a knighthood in the United Kingdom, when a recipient was ennobled, his surname name was changed by the addition of the title Ritter von. Thus for example the Field Marshal Wilhelm Ritter von Leeb was born Wilhelm Leeb, such a patent of nobility only applied to Bavarian subjects, non-Bavarians could receive the Military Order of Max Joseph but not use a title because of this. The Bavarian Order of Saint Hubert is a Roman Catholic dynastic order of knighthood founded in 1444 or 1445 by Gerhard VII, Duke of Jülich-Berg. He sought to commemorate his victory over the House of Egmond at the Battle of Linnich on 3 November, which is Saint Huberts day. In 1778, Charles Theodore, Duke of Jülich and Berg, the order was open to men and women, although limiting the number of male companions to sixty. It commemorated the conversion of Saint Hubert and his standing as the saint of hunters. Over time, the award had other uses as a reward for loyalty to the monarch, sources agree that the Order of Saint Hubert honors a military victory of the Duke of Jülich, on Saint Huberts day,3 November 1444. Consequently, the date of the founding depends on the source, still other sources date the founding of the Order as late as 1473 or 1475. 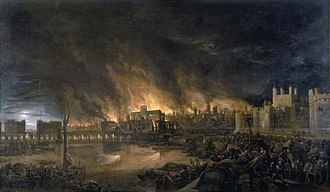 Twentieth century investigation has helped to clear up some of the confusion, the original Latin statutes of the foundation use Good Friday, in this case 26 March 1445. 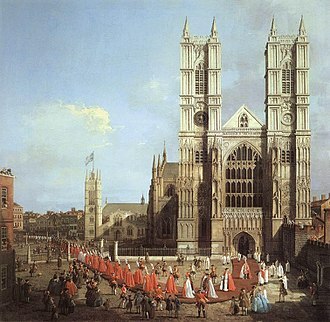 Furthermore, there is written evidence that the Order existed prior to March 1445. These remained the governing documents of the Order until 1708, in this confirmation probably lies the root of confusion over the date of the Orders foundation. 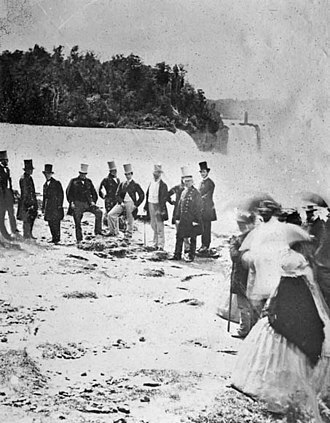 Initially the Order was a brotherhood, reflecting the overlapping religious. Saint Hubert was the saint of hunters and knights. The founding of the Order of the Golden Fleece in the early 15th century started a trend in confraternal princely orders. 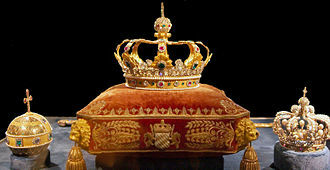 The purpose of these, whether established by monarchs or princes, was to foster loyalty to a sovereign, when Reinhold IV, Duke of Gelder, died in 1423, his nephew Arnold inherited the dukedom. 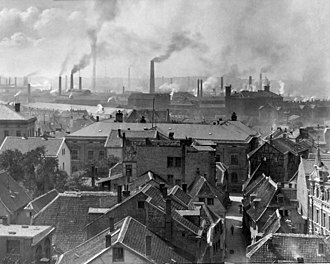 Arnolds cousin, Adolf of Berg, inherited territories near Liège, Arnold believed that Adolf had inherited the better of the two properties, and coveted it for himself. He tried to take it by force and failed, a compromise was reached by which the two agreed to a truce. Adolf of Berg died in 1437 and his cousin, Gerhard IV, Arnold reasserted his old claim, maintaining that the truce to which he and Adolf agreed was no longer valid, and prepared to take the duchies by force. The Order is led by its thirty-seventh Herrenmeister, Prince Oskar of Prussia. Each of its knights, about four thousand men worldwide, is either a Knight of Justice or a Knight of Honor, although membership no longer is limited to the nobility, as it was until 1948, the majority of knights still are drawn from this class. The Order comprises seventeen commanderies in Germany, one each in Austria, France and Switzerland, with the Roman Catholic Sovereign Military Order of Malta, these four Alliance orders represent the legitimate heirs of the Knights Hospitaller. The Order and its orders in the Netherlands and Sweden. 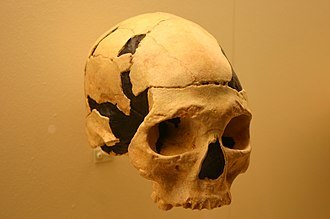 The SMOM, headquartered in Rome, admits only men and women of the Roman Catholic faith, in time, these landholdings were gathered into regional administrative divisions known as commanderies, each headed by a senior knight, or knight commander of the Order. 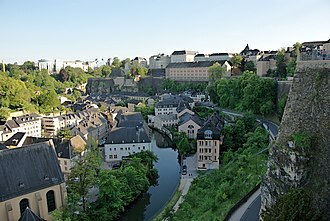 The first commandery in the Germanies was founded in the mid-twelfth century, though separated from the Roman Catholic main stem of the Order of Saint John, the Bailiwick of Brandenburg continued to flourish. 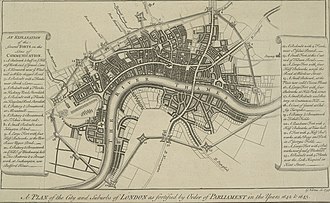 Admitting only noblemen, principally from the Germanies, the Bailiwick maintained hospitals and other institutions to care for the poor, the sick, and the injured. 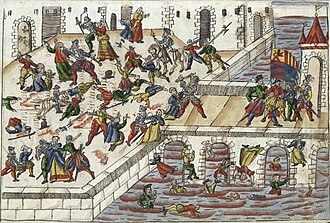 The horrific Thirty Years War devastated the Bailiwick, resulting in the deaths of many knights and he established a similarly named order of merit, the Royal Prussian Order of Saint John, in its stead. He announced his election to the head of the Order of Malta, during the course of the nineteenth and twentieth centuries, the Order created and supported more and more charitable activities. 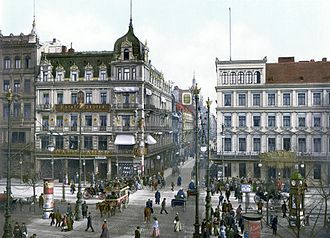 It now owns and operates numerous hospitals, ambulance services, old-age homes, after World War II, with the Neumark given by the victorious Allies to Poland, the Order moved its headquarters to Bonn, West Germany. 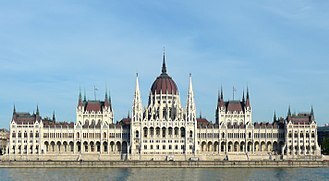 After the reunification of West and East Germany, the headquarters were moved again, more than location of the seat of the Order changed in the aftermath of the Second World War. The Finnish commandery, remains a purely noble society, as do the now independent Swedish, there are three active classes in the Order, Knight of Justice, and Knight of Honor. 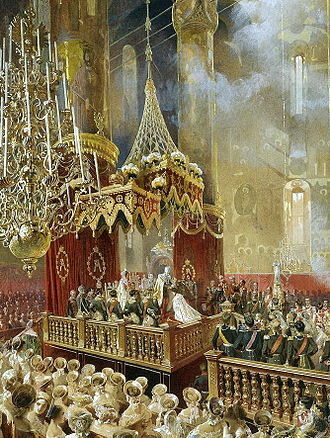 The coronation of Emperor Alexander II and Empress Maria Alexandrovna on 26 August/7 September 1856 at the Dormition Cathedral of the Moscow Kremlin, painting by Mihály Zichy. 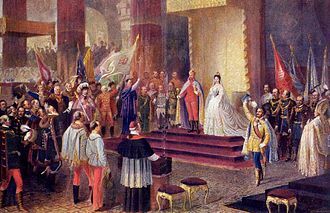 The painting depicts the moment when the Emperor crowned the Empress. William I is proclaimed German Emperor in the Hall of Mirrors in Versailles, France (painting by Anton von Werner). Kronenthaler of Louis, Grand Duke of Hesse and by Rhine, 1825. 1859 thaler of Hesse, depicting Louis III.